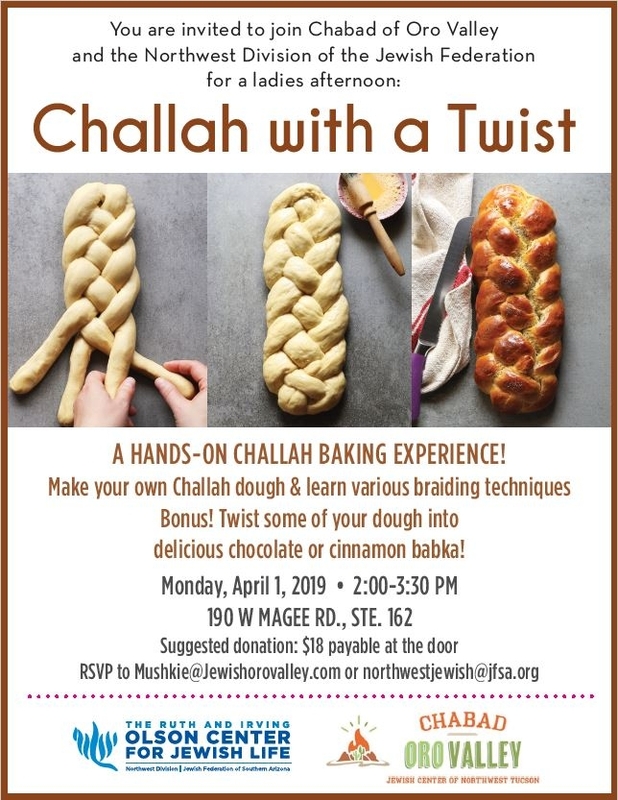 Want to keep in the loop on the latest happenings at Chabad of Oro Valley. Subscribe to our mailing list below. We'll send you information that is fresh, relevant, and important to you and our local community. What If We Never Left Egypt? What If We Found Moses' Shoes? What If the Torah Was Given on the Moon? What If We Hunted for Jewish Treasure? What If We Built the World’s Greatest Sukkah? What If We Were Chanukah Heroes? What If Pickles Were Purple? Receive More and Take Less How Not to Get Lost in the Mass of Humanity When Mitzvahs Don't Feel Right What Your Soul Sees The Secret to a Meaningful Life The Secret Behind the Nails, String and Wood What Happens If You Don't Believe Why People Are Never Happy Who Are We Fooling? If G-d Loves Us, Why Does He Judge Us?